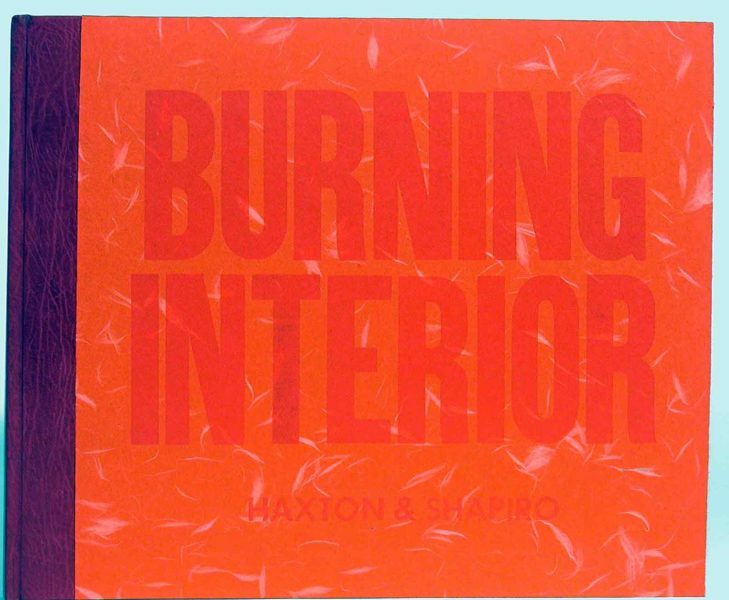 David Haxton, Burning Interior, 1999, manuscript on book board, 11.63 x 13.75 x 0.5 inches. Gift of Delphia Allen Lamberson and Hoke Smith Holt, SC2002.02.46. Students experiment with surface techniques and decorative papers to create a unique sketchbook that students use to experiment with various mixed-media applications.